Replacing your phone is expensive – and being disconnected from your world is stressful! The Phone Lasso Refill Patch's rugged strength and durability allows you to take on life’s daily adventures with a simple peel, stick, click. 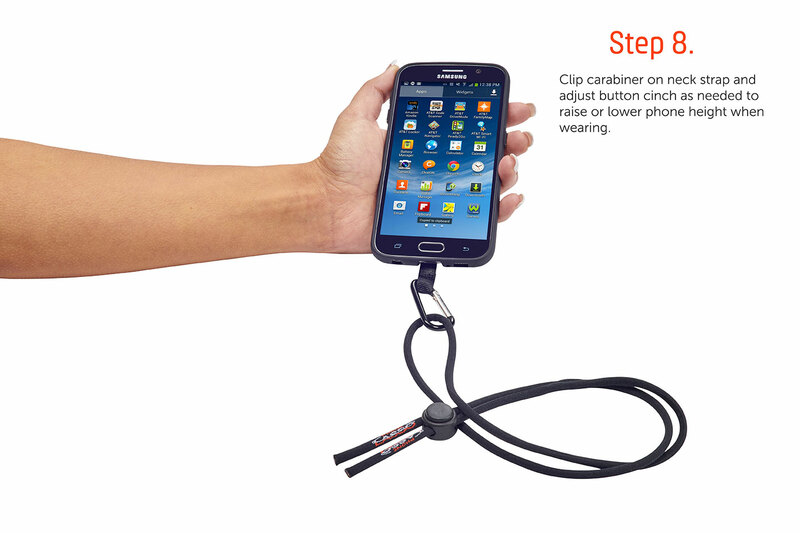 Buy a Phone Lasso Kit, which includes a lanyard and a wrist strap. 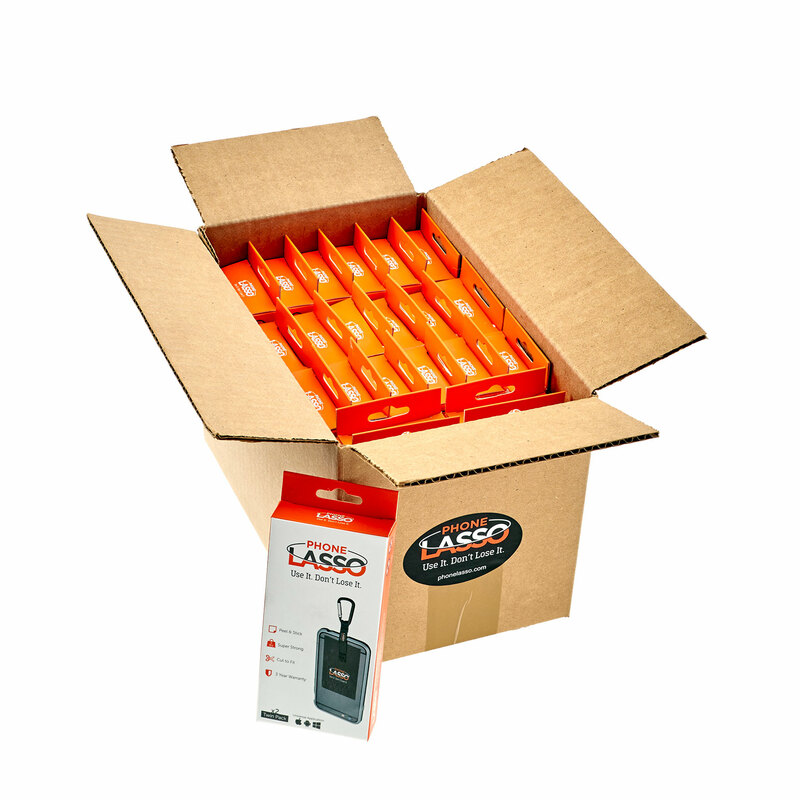 Or buy a Phone Lasso Standard Case, for those who buy in bulk! Save on Shipping! Switch to a Master Case. 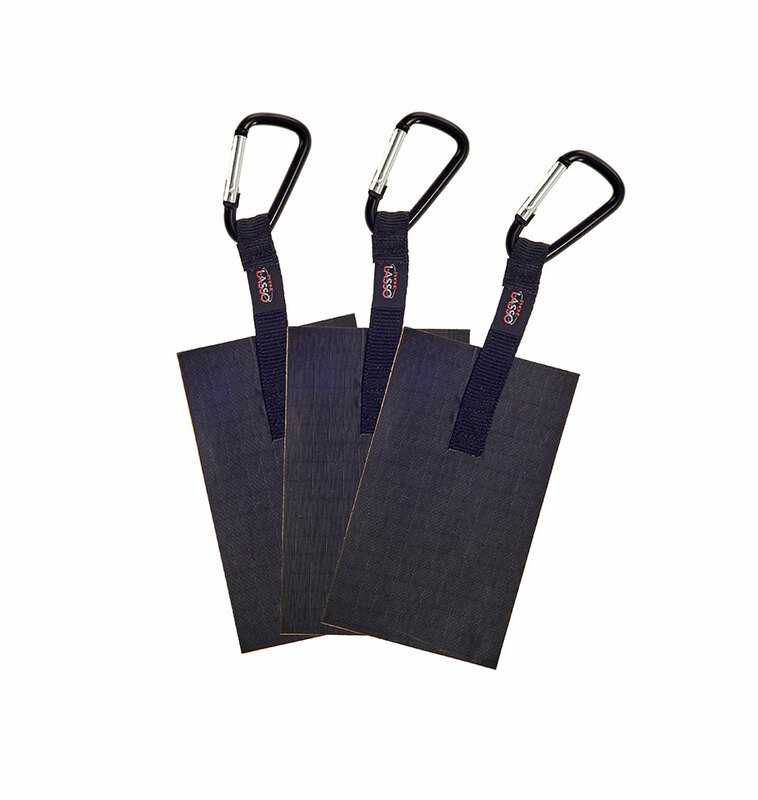 Includes 1 super-sticky replacement patch with metal carabiner. 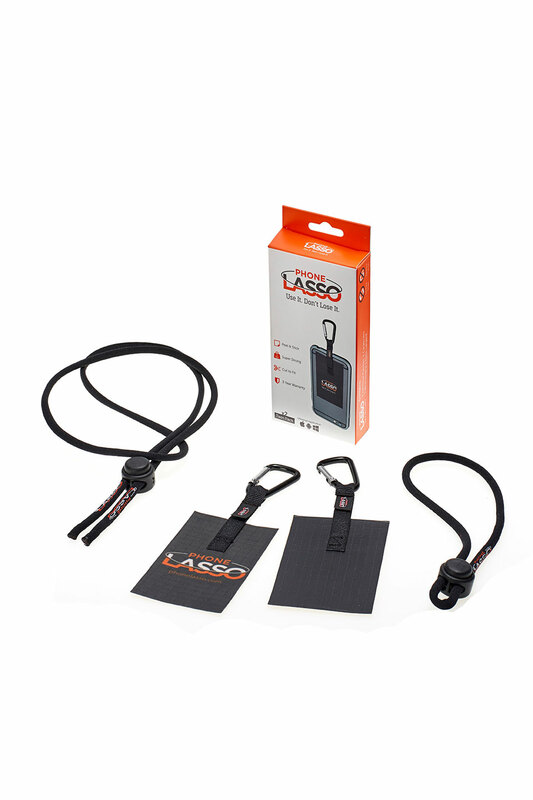 Purchase options include white patch with silver carabiner and black patch with black carabiner, branded with the Phone Lasso logo or blank. Q: Why do I need replacement patches? 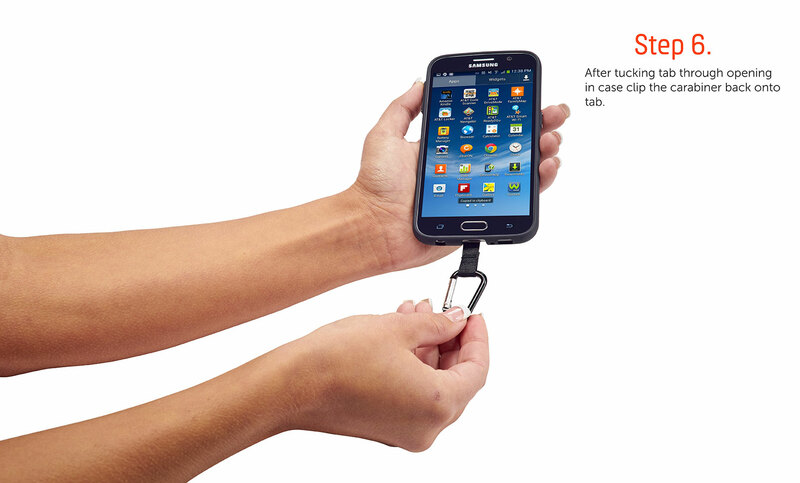 A: If you only want to use your Phone Lasso during certain activities, its smart to have spare patches handy. 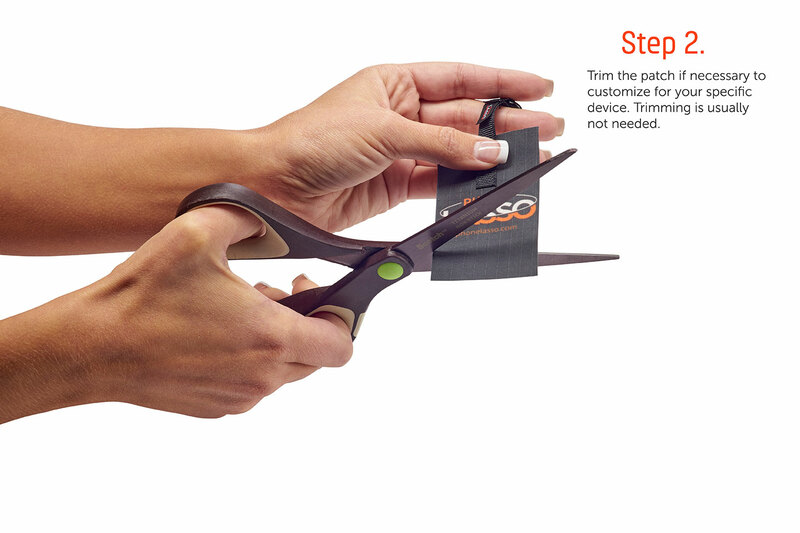 Use your Phone Lasso for skiing, hiking or boating, and then simply peel the patch off. When it’s time for your next big adventure, you’ll have a replacement patch ready for action! Q: Is the patch really strong enough? A: Dude… the patch is insanely sticky. It’s made with military-grade rip stop nylon, too. It’s a super strong, tiny little patch. That picture with the 15lb weight? It’s the real deal. Q: Do I have to attach the patch directly to my phone? Can it attach to the case? A: You can attach the Phone Lasso patch to the back of your smartphone, the back of your case or the inside of your case. Whichever way works best for you. If you apply the patch to the inside of your cell phone case, all you need to do is feed it through the charger hole so you can attach the carabiner. Q: Will the glue mess up my phone? A: Our proprietary patch is made with an adhesive that leaves no residue or film when it’s fully removed. On some materials, the patch will come right off. On others, just roll up the adhesive until it is gone. If there is any left, use a cotton ball with a bit of baby oil or olive oil to remove the rest. Got more questions? Just ask! 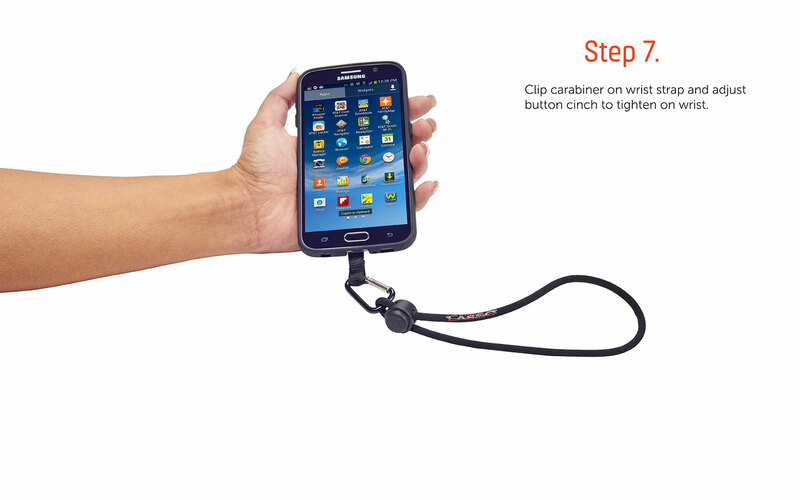 Before you can use Phone Lasso four ways, you have to get it on your phone! Once you’ve figured out where you want your patch, on your phone or on your case, trim if necessary so it fits just right. Next, peel off the backing and get ready to see that insanely sticky patch in action! 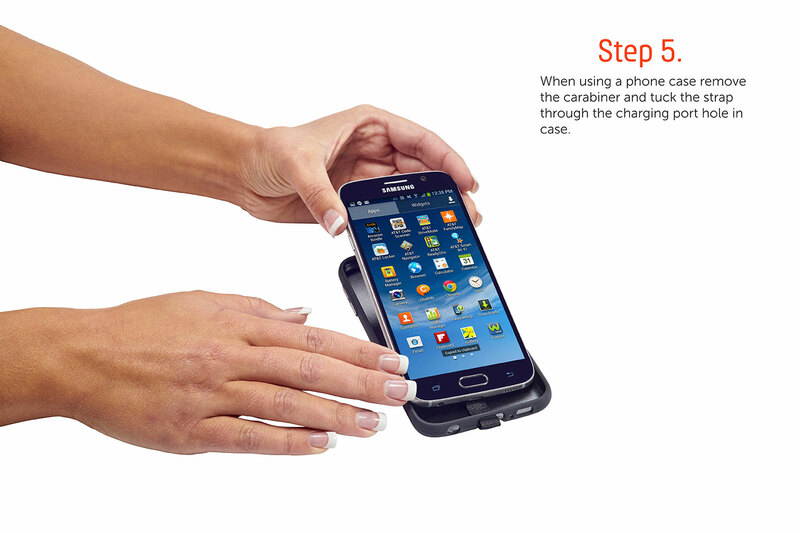 After you’ve got your patch placed, remove the clip and slide the tab through your charging port. Once through the port, return clip and add your wrist or neck lanyard, or even leave it as is. You’re now ready to use it four ways, on your neck, wrist, waist, or gear!